It allows to add a new field in the application. 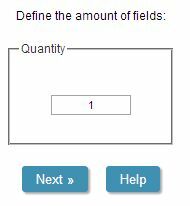 1º- When click on a new button it is shown the image below, where we determine the amount of fields that will be added. Image1: Amount of fields Interface. 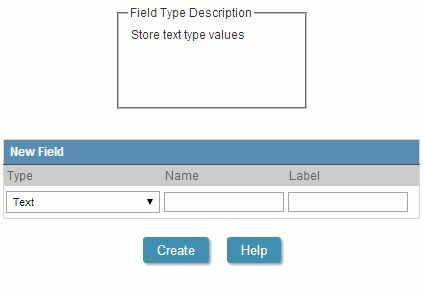 2º- After we determine the amount of fields that will be added, it is necessary to define the settings of the new field (data type, name and label). Image2: Interface of the Properties of the new field. Note: The description of the field type is modified as the selection of the filed type.